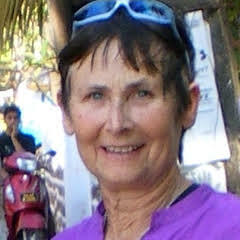 Rozz Cutler qualified as an Iyengar teacher 1998 and reached Junior Intermediate level 1. She has been practicing yoga for 20 years. Rozz‘s approach enables students to practice postures regardless of age or fitness level, sometimes using props to assist alignment in the postures.